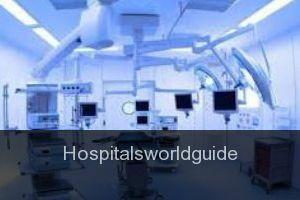 Welcome to Hospitalsworldguide. We are one of the most complete guides of hospitals in the world, we have the information of more than 10,000 hospitals. Every day we grow more and we are increasing the amount of information about hospitals so that you can find the one that best suits your needs. We encourage you to insert the data of a hospital that you observe that is not among the thousands that we have in our database. For us it is very important to keep a list of hospitals as complete as possible in order to offer a quality service to our users. Every day we review all the information that we have in our database, but still sometimes we are missing some data and it is possible that it does not match the truth, if you detect some incorrect information, do not hesitate to contact us to we can modify it in the shortest time. combe park, bath, avon ba1 3ng, united kingdom ba1 3ng Bath ,Bath and North East Somerset ,England ,United Kingdom . the royal marsden hospital, 203 fulham rd, london sw3 6jj, united kingdom sw3 6jj Greenwich ,Greater London ,England ,United Kingdom . hills rd, cambridge cb2 0qq, united kingdom cb2 0qq Cherry Hinton ,Cambridgeshire ,England ,United Kingdom . craven rd, reading rg1 5an, united kingdom rg1 5an Reading ,Reading (Borough) ,England ,United Kingdom . 15 cotswold road, sutton, london sm2 5ng, united kingdom sm2 5ng Sutton ,Greater London ,England ,United Kingdom . bmi the beardwood hospital, preston new rd, blackburn bb2 7ae, united kingdom bb2 7ae Mellor ,Lancashire ,England ,United Kingdom .